We’ve divided our monthly horoscopes into 3 groups (or decanates) per sign for more accuracy. Remember that if you know your Ascendant, read forecasts for both your Sun sign and your Ascendant sign. If you know your birth time, but don’t know your Ascendant, be sure to see How to Obtain Your Astrology Chart here or our Quick Ascendant Lookup. 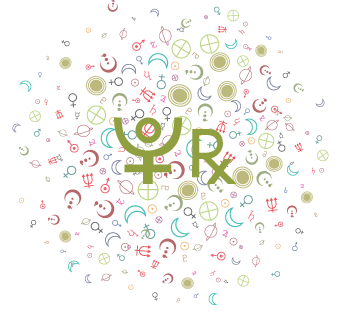 Monthly horoscopes are divided into 3 groups (or decanates) per sign for more accuracy. Remember that if you know your Ascendant, read forecasts for both your Sun sign and your Ascendant sign. 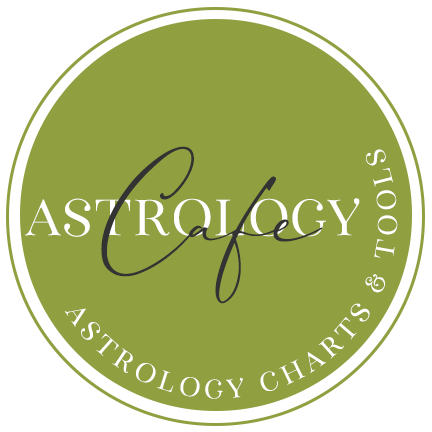 If you know your birth time, but don’t know your Ascendant, be sure to see How to Obtain Your Astrology Chart here. 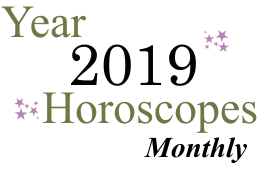 April 2019 Monthly Horoscope Overview for Gemini: There can be quite a bit of activity in your social life this month, dear Gemini, and ups and downs are likely, with the chances for major improvements from the 20th on. At the same time, career or reputation matters get a nice boost in April. Clarity is with you, and this helps decision-making. Most of the foggy elements related to your career, life path, goals, connections with authority figures in your life, and reputation can clear up right from the start of April, or projects get the green light and move forward. You're feeling much more confident and faithful in these areas, and you feel that you're more actively participating in creating your future. Your social life draws considerable attention, too, and people begin to seek you out more often. 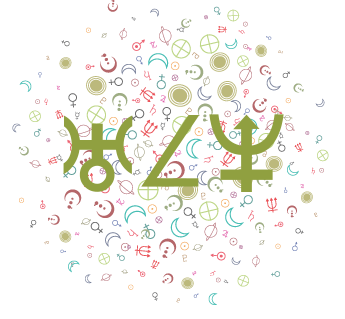 The New Moon on the 5th brings the chance to start fresh socially or with a particular friend, or it renews your interest in pursuing a particular happiness goal. Mercury and Venus moving into your social sector on the 17th and 20th respectively are helpers, connecting you with others and stirring your interest further. There can be a pressing need to reassess some of your long-term goals this month, and reminders (as well as opportunities) for doing so are emerging. There can also be reality checks to manage as new information sheds light on the more impractical elements of your current plans. There could also be issues with friends, associates, or group associations that involve limitations or life lessons. There may be the need to do some level of conforming in order to benefit from others' input, or you may feel the need to push forward with less support in certain areas, and this prompts you to look for new alliances or associations. For some, troubles in an intimate relationship can prompt you to turn to friends or activities that get you connected with new people or goals. Your life is busier than usual this month, although in the last week of the month, the Sun moves into your privacy sector and you'll feel the distinct need for some form of relief or break from the more competitive or demanding elements of your life. Friends can be wonderfully helpful, however, and increasingly so as April progresses. They might offer up pleasant distractions and encouraging words. All month, you're especially self-motivated with energetic Mars in your sign. You might often fill the role of leader, or work towards your goals independently, at your own pace. This is a period of increasing independence and confidence, in fact, and it's set to increase further in the coming months. You may need to practice some self-control, as you can easily feel bored or impatient with Mars here. You seem to be the first to start and the first to finish! You have personal initiative, making this a wonderful time to pursue goals that have been put aside. Some self-centeredness is good for you at this time. Personal needs can seem pressing and desires strong. Conflicts with others may occur with this transit and are more likely when Mars is challenged, such as on the 7th, 12th, and 26-27, but these may very well motivate you to become more self-reliant-- something you may very well need at this time in your life. As well, from the 17th forward, Mercury, your ruler, is in a special relationship with Mars in your sign called mutual reception, and this serves as a nice boost to your pursuits, communications, and activities. You're sharper, stronger, and more confident. The Full Moon on the 19th can bring wonderful opportunities for understanding your feelings for someone or for a project. While they're full-blown now, even when you come down from the initial rush of discovery and connection, you'll feel confident about what to do next. 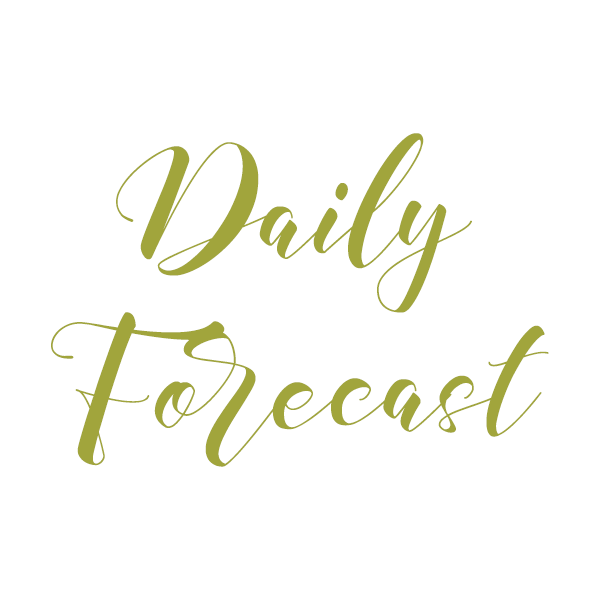 The last week of April is good for financials, intimate matters, and overall faith in your own judgment, although the 26-27 requires some care. It's an important time for getting some time for yourself - some solitude can feed the soul now. 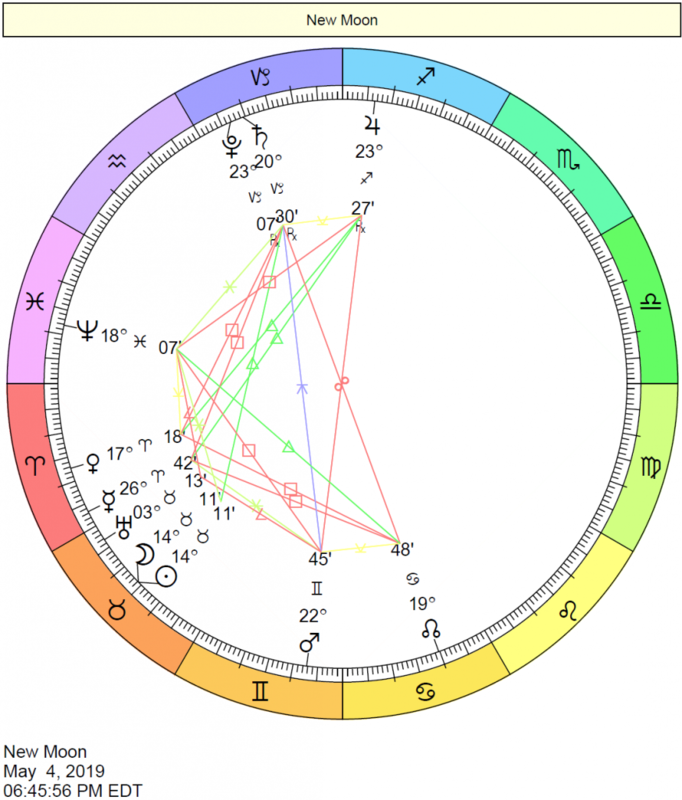 The Sun continues to put a spotlight on your solar eleventh house. During this cycle, you are planting seeds for the future, dreaming up plans that you might begin to develop two months down the road, if they still seem viable then. You are more aware of the benefits of networking, and you might find some great ideas through others now. You might be working in a team now. You could be questioning some of the rules you have been living by and you could be ready to try something totally new. You are more attracted to that which is progressive or unconventional during this cycle. The Sun travels through your twelfth house now, marking a time of retreat and regeneration. Think about the attachments you have--to things, people, and routines--and consider which ones are dragging you down. This is a time when competitive energies and the ego are on a bit of a break. It's not the time to push ahead with brand new projects. Rather, it's a time of reflection, dreaming, and recharging your batteries. Situations that have naturally outgrown their usefulness in your life can now be put behind you. Endings of natural cycles may be part of the picture at this time of year. Your energy is largely applied to personal and private affairs now. Your disposition is introspective. Rest and reflect, and prepare for a more outgoing cycle when the Sun moves into your first house. Venus continues to transit your solar tenth house. Relationships with authority figures, superiors, and with the public are in focus during this cycle. It's a strong period for diplomatic relations, although a negative expression of this position could be bending over backwards to please rather than positive, friendly relations. It's a time when being a team player reaps the most rewards, and you may be mixing business with pleasure now. This may be a time when you are especially enjoying your career or position and making the most of it. Venus graces your solar eleventh house now. Forming harmonious, warm social friendships, possibly related to group activities within a club, can figure now. You may meet someone through such group activities; consequently, your interests will be shared. Whether or not you do, the bottom line is that sharing interests with someone is what makes you happy during this cycle. Venus here enlivens your friendships and group associations with charm and grace. You are more peace-loving than usual and slightly detached on a personal level. If a romance were to begin during this time frame, it would be characterized by a strong feeling of camaraderie, but it could also be rather impersonal and perhaps lacking in depth and intimacy. Mercury continues to transit your solar tenth house. Career matters are busy at this time, and there can be plenty of thoughts and/or conversations about your profession, your reputation, or your social standing during this cycle. It's a good time to analyze your work tasks and to streamline them or improve your skills. There may be increased contact with the public now, or you might experience an increased need to be heard and acknowledged for your intelligence, skills, capabilities, and ideas. Mercury is transiting your solar eleventh house. Your mind is bright, alert, and active during this cycle, and you have the ability to come up with unusual and inventive ideas. Sharing your thoughts with others is a prime interest. Others tend to particularly enjoy your conversations during this transit--you are willing to listen as well as add your own thoughts. As well, your ability to grasp unusual subject matter and to intuitively understand what others are trying to say win you some brownie points! You could also do a lot of thinking and musing about your own happiness and long-term goals. Mars continues to activate your solar first house, supplying you with added energy to apply towards personal goals, and a more assertive and direct approach to the world in general. This is an excellent period for physical training and exercise of any kind. The desire to be self-sufficient and independent is especially strong now. You are far less tolerant of being restricted by or dependent on others, and this is a good time to identify your personal strengths and to take positive action to rectify situations that may have previously felt frustrating or repressive. You might be especially attracted to personal challenges, and seeing just how far you can push. However, be careful not to push yourself (and others) too far. See also general trends for Gemini in 2019. See also detailed 2019 Yearly Horoscope for Gemini. You are able to stand your ground and assert yourself more than usual during this transit of Mars through your solar first house. You have energy at your disposal to move your plans forward, and you are more enterprising. You want to leave your mark on the world in some way--however big or small--and you are more able to make an impression than usual. If circumstances are such, you are able to easily fight back. In fact, you may be somewhat combative under this influence, and you may have a short temper. Avoid being pushy. Take charge of your life, but don't bulldoze over others in the process! This is an excellent transit for assertiveness and physical vitality. Love affairs may also be stepped up during this period. On the rare occasion when an accident occurs, it is more likely to involve the head or face. Find out about your year ahead with a comprehensive Sky Log Report for only $5.95 or a detailed Solar Return Birthday Report for only $4.95. 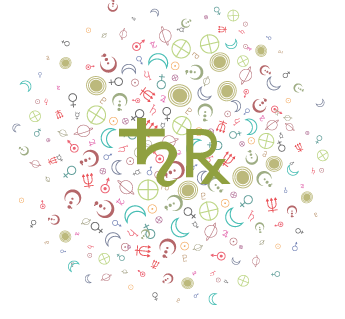 Our detailed monthly horoscopes are designed to reveal and interpret the current transits of the Sun, Mercury, Venus, and Mars in your solar chart. Because these energies or transits do not unfold neatly into any given calendar month (many transits carry forward from one month to the next), you will find some of the energies continue from a previous month. For example, the Sun might transit the second house of your solar chart from June 21 to July 22, so that you will find a similar interpretation for this transit in both June and July’s horoscope. This is normal and expected. Transits don’t suddenly change as the calendar month changes.